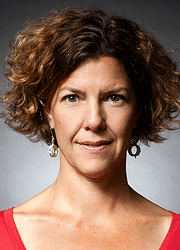 Karen Guillemin is the Director of the META Center for Systems Biology and the Leader of Research Area II. She uses gnotobiotic model systems, including the zebrafish, to understand how animals co-exist with their microbial residents. Brendan Bohannan, the Leader of Research Area I, is fascinated with the diversity of microbial life and much of his research is focused on understanding the causes and consequences of microbial biodiversity. He has research projects around the world, including in the Brazilian Amazon, South Africa, Australia, Michigan, and Oregon. 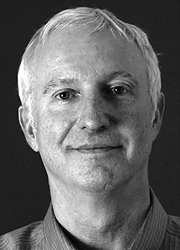 John Conery, the Director of the Bioinformatics Core, is a Professor in the Department of Computer and Information Science. He has worked for 15 years on projects including simulations of mutation spread, studies of gene and genome duplication, and algorithms for phylogenetic inference. 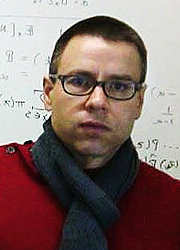 His current interests include sequence analysis based on information theory, large-scale modeling of host-microbe interactions, and high performance computing. 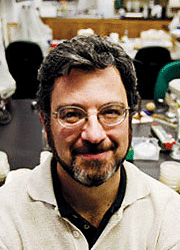 Bill Cresko, the Leader of Research Area III, is a geneticist who has pioneered the study of stickleback fish as a model for population genomic studies. His lab studies the developmental genetic and genomic basis of evolution, and generates genomic, analytical and computational approaches to analyze massively parallel sequencing data. He is applying these tools to explore the relationship between host genetic variation and microbiota differences. 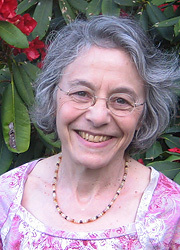 The Director of the Gnotobiology Core, Judith Eisen was one of the early pioneers of the zebrafish model system. Her research is focused on development of the vertebrate central and peripheral nervous system. 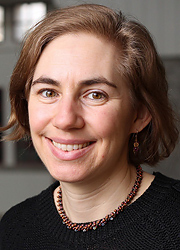 Her lab is currently investigating mechanisms by which the nervous system influences assembly or composition of the intestinal microbiota and mechanisms by which the microbiota influences nervous system development and function. A member of Research Area I and III, Jessica Green is an engineer and ecologist who specializes in biodiversity science and microbial systems. Her lab applies theoretical, computational, and empirical approaches to study complex biological systems in a wide range of habitats: our bodies, cities, forests and oceans. As director of the Biology and the Built Environment (BioBE) Center she is exploring the interactions between microbes, humans and the urban environment. 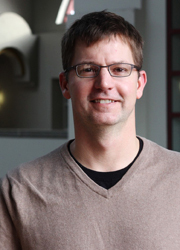 Eric Johnson, Director of the META Genomics Core, is an Associate Professor in the Department of Biology and Director of the Institute of Molecular Biology. He has interests in gene expression networks and sequencing technology. His lab developed the widely used RAD-Seq method for genotyping. 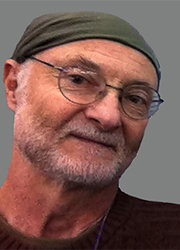 A member of Research Area III, David Levin’s research is in stochastic processes and their applications, including Markov chains, random walks, and hidden Markov processes. Particular focus has been on the mixing times for Markov chains, the time required for such processes to equilibrate. Director of the META Center Diversity activities, Peter Oâ€™Day is intimately involved with the Alaska Oregon Research Training Alliance (AORTA) undergraduate program. This program offers research and training opportunities for undergraduate students from Alaska universities and colleges to participate in ongoing research in META Center laboratories at the University of Oregon. 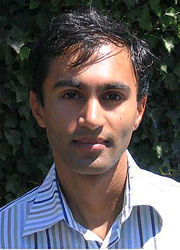 Raghuveer Parthasarathy is Director of the META Live Imaging Core Facility and is involved in experiments exploring the dynamics of gut microbial communities. His lab uses optical techniques to examine the physical properties of biological membranes. He is now focused on larger-scale biophysical studies, using visualizations enabled by a home-built light-sheet microscope and gnotobiotic zebrafish experiments to study gut community assembly and host response. 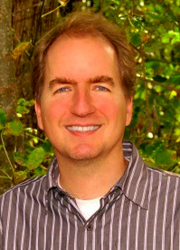 Patrick Phillips is the Director of the META Center Outreach activities. Research in his lab spans a wide range of biological questions, from molecular genetics to evolutionary ecology. The central thread of his work is the use of genetic, experimental and theoretical approaches to address fundamental questions in evolutionary biology. He uses the model nematode Caenorhabditis elegans and its relatives (particularly C. remanei) for empirical microbiome work. John Postlethwait contributes to Research Areas I and III by addressing how the genomes of host cells respond to microbiomes during development and during evolution. He is probing those two questions by investigating how cells of the digestive tract and other tissues react to different microbial communities over developmental time and over evolutionary time. 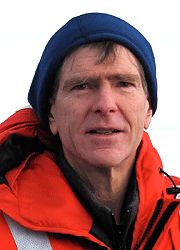 His lab studies fish from many habitats with different environmental microbes, including the Antarctic. 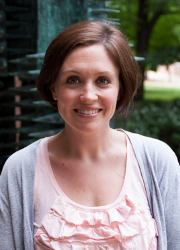 Annie Powell is an Assistant Professor of Biology and member of Research Area II. Research in her lab utilizes mouse modeling and ex vivo crypt manipulations (organoid culture), coupled with specialized microscopy and large-scale genomic scans in order to address fundamental questions related to the biology of epithelial stem cells of the small intestine and colon. 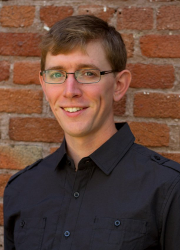 Tristan Ursell is an Assistant Professor in the Physics Department, and is a member of Research Areas I and II. 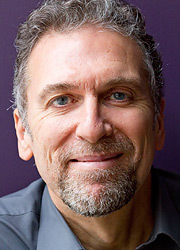 His research uses tools from microscopy, mechanics, computational modeling, and statistical physics to understand how cells move and invade, how cells die, and how cells engage in collective behavior that benefits the group over the individual, in a variety of natural and medically relevant settings.